Real Madrid’s bid for a hat-trick of Champions League triumphs stuttered during two clashes with Tottenham but they should get back on track when visiting APOEL. The Whites cruised to a 3-0 success when these teams met in Spain on Matchday 1 and won both legs of a 2012 quarter-final encounter by an aggregate score of 8-2. 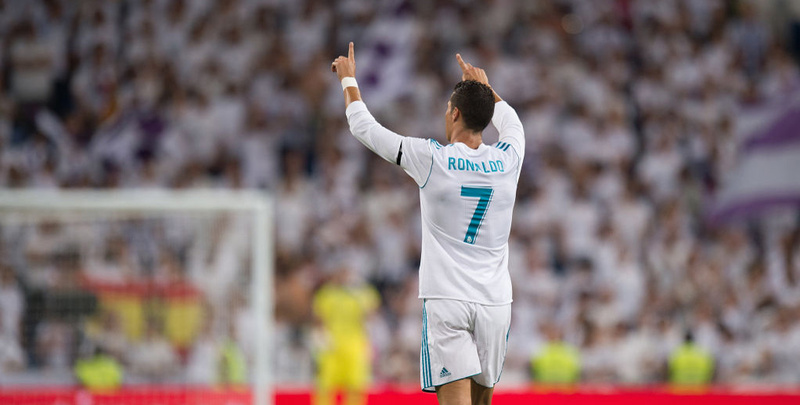 With a wide-open contest on the cards, 91/100 for an away win and over 3.5 goals in the game gets the nod in our APOEL vs Real Madrid betting predictions. APOEL allowed Cristiano Ronaldo to get in behind their defence far too easily when beaten at the Bernabeu and it was a similar situation when Harry Kane hit a treble in a 3-0 Nicosia stroll for Spurs. However, the Cypriot side found their feet when drawing 1-1 with Borussia Dortmund at this venue, before coming from behind to repeat that result in Germany. APOEL had to ride their luck to hold on against the Bundesliga side, with Shinji Kagawa firing just past the post and then Pierre-Emerick Aubameyang hitting the bar with one header before nodding wide from close range. The hosts have at least scored in 11 of their last 13 European home games, though, netting against the likes of Athletic Bilbao and Olympiakos in the Europa League last term. That stat makes 13/10 for an away win and both teams to score tempting from the APOEL vs Real Madrid odds. Real Madrid looked set to make smooth progress once more when following up the home win over APOEL with a 3-1 victory at Borussia Dortmund, with Ronaldo bagging a brace in both matches. However, they were then held to a 1-1 draw by Tottenham at the Bernabeu before going down 3-1 at Wembley, marking a first group-stage defeat in five years. That came after a shock 2-1 LaLiga loss at Girona, so Zinedine Zidane will have been alarmed to see his defence cut open time and time again in London. Ronaldo still managed to score in each of the clashes with Spurs, though, and Real will rely on him to steer them through this rare rocky patch. We’re completing our APOEL vs Real Madrid betting tips by taking 17/2 for a 3-1 away victory.